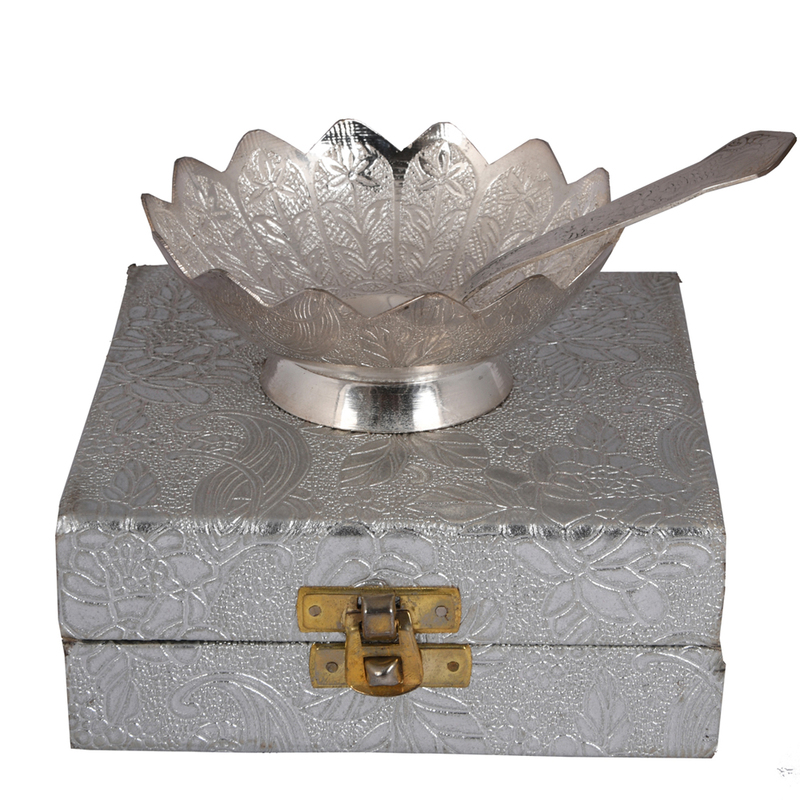 The german silver made dry fruit bowl would go well with any décor, because of the fact that it is shaped like a lotus. 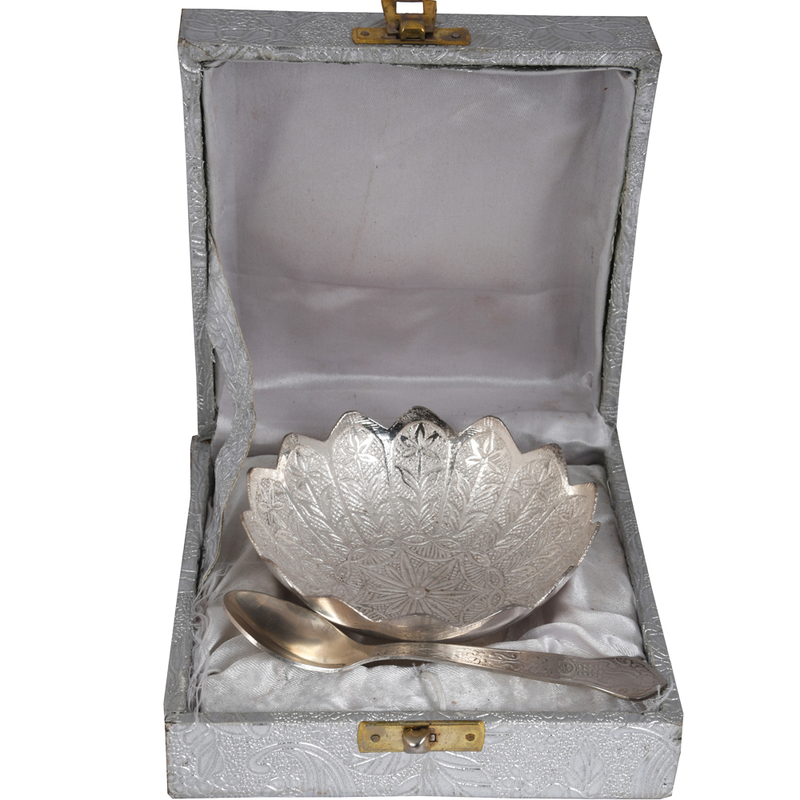 As Read More..this design is quite popular, and can be complimented with anything or any background, this makes it a must have for people who like to keep it classy and traditional at the same time The engravings on this dry fruit bowl, along with the polished outlines appeal greatly to anyone’s eyes. The spoon that is given as a part of the set also has similar engravings. 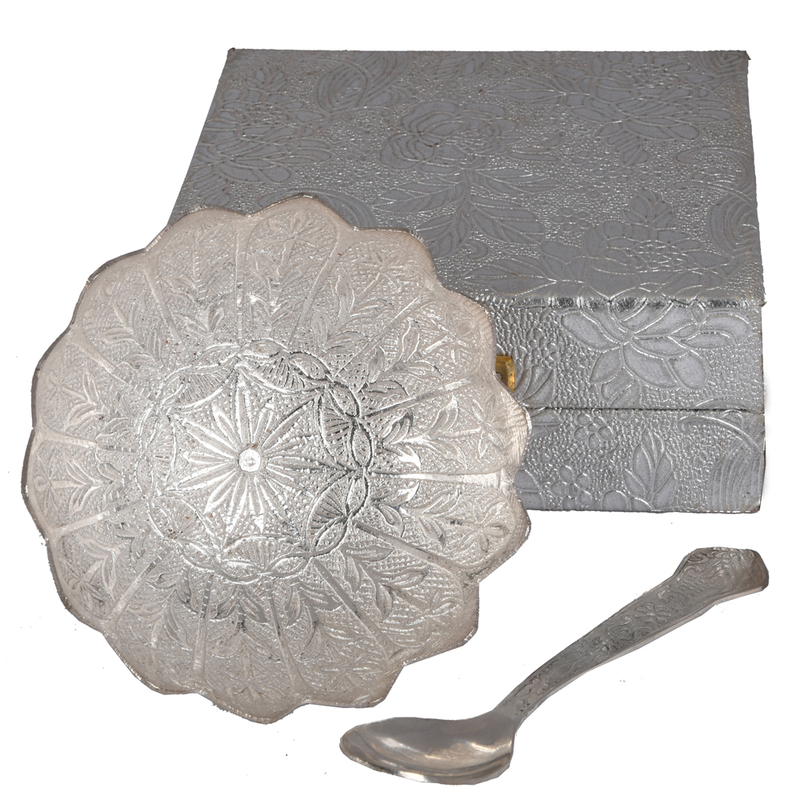 The entire set comes with a case so that the bowl can be protected from the elements when not in use. Show Less..